Whitianga is a popular holiday desitination for all. Sporting attractions include a mountain bike park, numerous bush walks, snorkelling, diving, fishing, kyaking,, animal parks and an adventure park...the list goes on. If you prefer a more sedate holiday, Whitinaga and surrounding areas provides the beauty of numerours beaches for relaxation and dozens of top class cafes and restaurants for your enjoyment. Other attractions include miniput golf, a cinema for rainy days and scenic flights. Sonjia was great to deal with and the property was just as advertised. Highly recommend. Everything we need was there beautiful home beautiful place. Other end of the house was far to hot but it is possible that we may not of used the air con correctly. Thanks so much for the feedback - yes it is possible that the ventilation system was pumping hot air from the ceiling into the house- will be sure to leave instructions for future guests about avoiding that when the ceiling temp is high compared to room temp- thanks again for mentioning this - it is how we learn and improve! All the very best. Sonjia. The house was conveniently located and perfect for our large family. It was very clean. We had a lovely trip to Coromandel. Whitianga was a great location and the house was located close to town. It was clean and well appointed. It worked well for our family. So glad the house suited your needs. All the very best, Sonjia. We absolutely loved our stay here at Sonjia’s home in Whitianga. Her home is beautiful, open, clean, and well appointed to meet guest’s needs. We had 7 people stay here, and there was plenty of space. We loved the outdoor space with hot tub, dining table, trampoline! The home is open making for great gathering spaces. 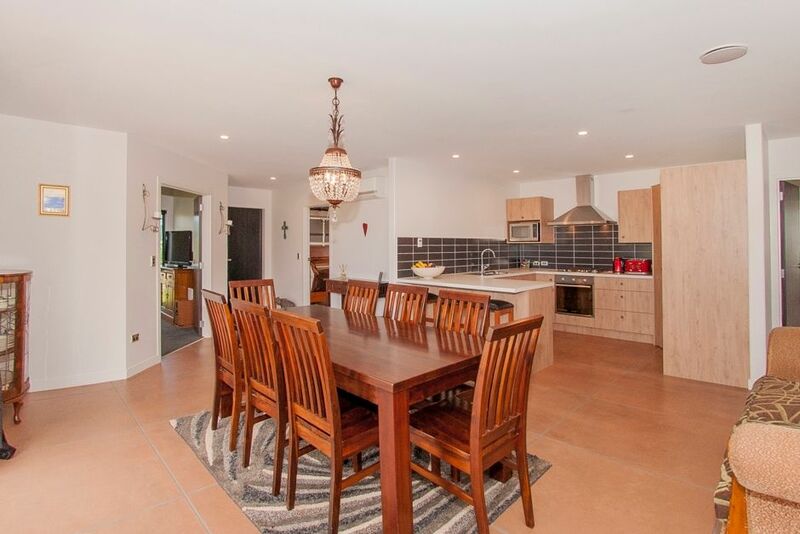 Whitianga is a beautiful town that we loved exploring, and this home is in a great location. Sonjia was very responsive and so kind to us during and after our stay. We could not more highly recommend staying here!